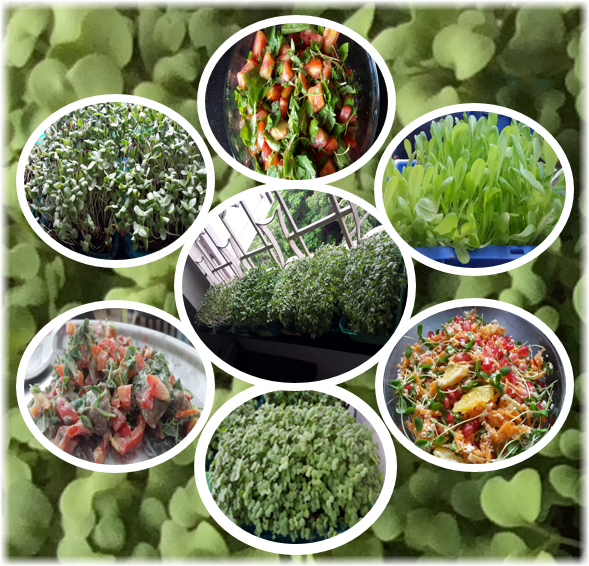 We are back with "Nutrition Packed In Small Spaces - A Micro-Greens Workshop" where you will learn the why, do the how-to-grow and savour the taste of micro-greens. You will get a starter kit so that you can put into practice all that you learn. You could also visit our urban rooftop community-farm after the workshop. PLEASE NOTE THAT SEATS ARE LIMITED AND CONFIRMATION OF REGISTRATION IS SUBJECT TO REALISATION OF PAYMENT. ALSO WE WILL BE UNABLE TO GIVE A REFUND IN CASE A PARTICIPANT DOES NOT ATTEND THE WORKSHOP HENCE PLEASE REMIT THE PAYMENT ONLY IF YOU PLAN TO ATTEND THE WORKSHOP. Payment can be made via Bank Transfer/NEFT or Cash payment to a volunteer. PLEASE NOTE THAT THIS IS OUR NEW STATE BANK OF INDIA ACCOUNT and not the old STATE BANK OF HYDERABAD account. If you have the old account of SBH added as a payee, please use the details below for adding the SBI account as new PAYEE. Please DO NOT deposit physical cash in our account through a CDM(Cash Deposit Machine) or at the counter by visiting a SBI branch as this method attracts a transaction charge levied by SBI for physical cash transactions. If you do end up using this method please note that the debited transaction charge will be recovered from the participant. Cash can be deposited with Urban Leaves volunteers located in specific parts of Mumbai. Please select a location convenient for you from the available locations in the registration form. You will be emailed the details of the Urban Leaves volunteer to contact for depositing the contribution.